Whether you have a Honda Civic or Chevrolet Corvette or anything in between, you will need to change your vehicle’s spark plugs eventually. Check your owner’s manual to see when the manufacturer recommends replacing. I remember back in the 1980s and 1990s changing plugs every 10,000 to 25,000 miles. The technology that DENSO has created allows plugs to go over 100,000 miles. If you want to get the maximum economy, power, and endurance out of your engine then it is time to start shopping for spark plugs. Are all spark plugs created equal? No! At the end of the spark plug wires are the spark plugs. Spark plugs are screwed into the cylinder head, exposing the tip in the combustion chamber. The tip of a spark plug has a ground electrode and a center electrode. These electrodes have to withstand thousands of volts and extreme heat. The center electrode on a spark plug is commonly made of copper, platinum, or iridium. On standard spark plugs the ground electrode is just a flat bar. DENSO has taken the spark plug to a whole new level. What Make’s the DENSO Iridium TT so Special? Instead of just a flat grounding bar, DENSO scientists and engineers put Iridium and Rhodium into the DENSO Iridium TT. Iridium, a chemical element, is considered the most corrosion-resistant metal known on earth. Rhodium, another chemical element, is an extremely durable metal. Rhodium is an extremely rare element and is inert against corrosion and most aggressive chemicals. The combination of these two elements causes the Iridium TT spark plug to resist oxidation and voltage wear – even in the most severe engine temperatures and conditions. To make a highly technological spark plug, DENSO’s scientists and engineers had to create a special 360-degree laser welding process. This process allows the precise manufacturing to take place – to create a twin-tip spark plug with the world’s smallest diameter center electrode. The combination of Iridium, Rhodium, and the twin tip maximizes firing, improves combustion performance, and increases plug life. If you want to change your spark plugs only once about every 100,000 miles – then you need to consider DENSO Iridium TT Spark Plug. Watch the video below to learn more. 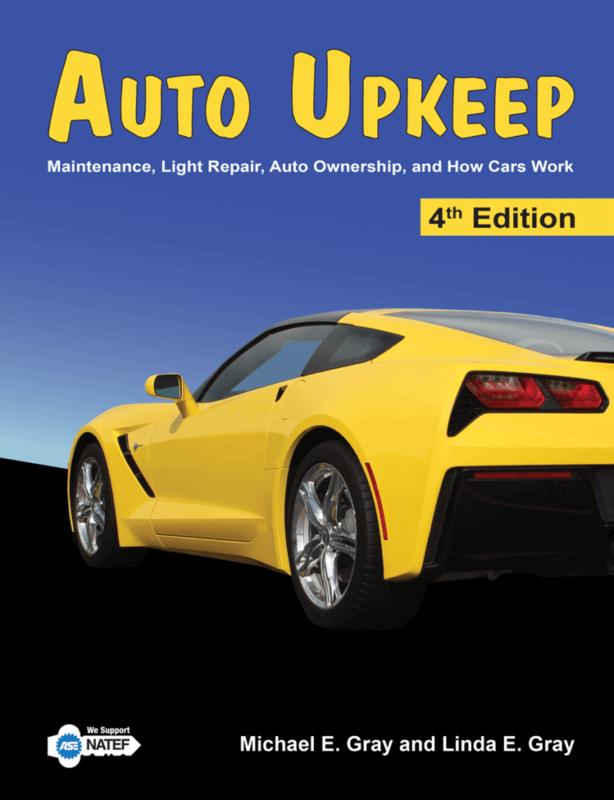 Michael Gray is the co-author and publisher of Auto Upkeep – a textbook used by over 500 schools in North America to teach Intro to Auto, Basic Auto, and Car Care courses. This is a sponsored blog; while the views expressed here were genuinely mine, consideration was paid to me by DENSO to review this product.